The inaugural match of the tournament was held at the Gachibowli Stadium between the Rahul Chaudhari-led Telugu Titans and Tamil Thalaivas.Telugu Titans crushed Tamil Thalaivas 32-27 in the opening match of the fifth season of the Pro Kabaddi League in Hyderabad.The Telugu Titans rode on captain Rahul Chaudhari’s performance to defeat newcomers Tamil Thalaivas easily. 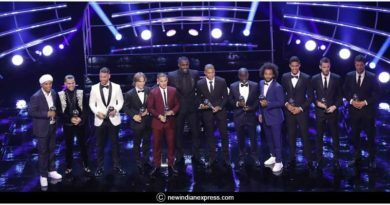 The opening ceremony was a star-studded affair, with sports icons and film personalities attending the event. Bollywood superstar Akshay Kumar kicked off the tournament by signing the national anthem in front of a jam packed stadium. Sachin Tendulkar, owner of the Tamil Thalaivas was also present. Both teams were heavily hit before the match with a total of three-star players missing out on the new season after being ruled out of the squad. The match was billed as a battle between two of the world’s top raiders – Rahul Chaudhari and Ajay Thakur and Rahul Chaudhari did not disappoint. Rahul scored his 25th Super 10 to take his total raid point to 492 and is now just 8 points away from becoming the first player to reach the 500 milestones. Rahul Chaudhari showed why he’s considered one of the best in the world as he helped the host’s race on to an 18-11 lead by half-time. At 8-7, Prapanjan’s double in a raid steered Telugu to a strong position, with the opponents facing the danger of all out. This led to the visitors fall behind by seven points. 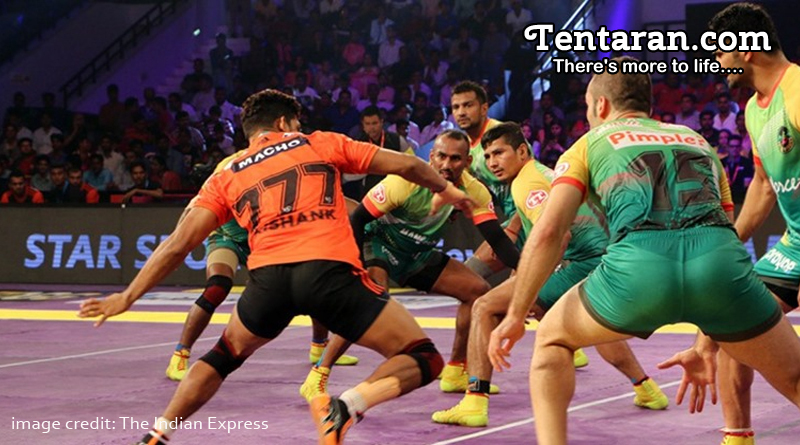 Nilesh Salunke earned seven points out of his 14 raids and him along with Rahul who got 10 they steered Telugu to an easy win to get their first points of the tournament.